I am using the NHD‐24064WG‐ATFH‐VZ#. 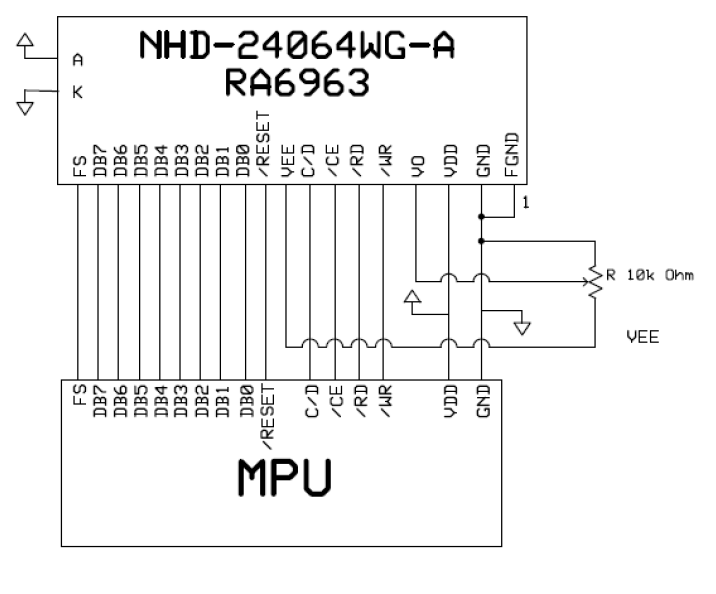 I have never used a graphics LCD before and am curious about the VEE voltage supply for this particular LCD contrast supply. According to the diagram in the data sheet on page 4 it would appear that the contrast voltage supply (VO) is created by using a voltage divider or some sort of potentiometer to allow adjustments hooked up between VEE (Pin #9 ) and VO (Pin #4) . I see according to the table on page 4 of the data sheet that VEE is an output voltage and VO is labeled as supply voltage. 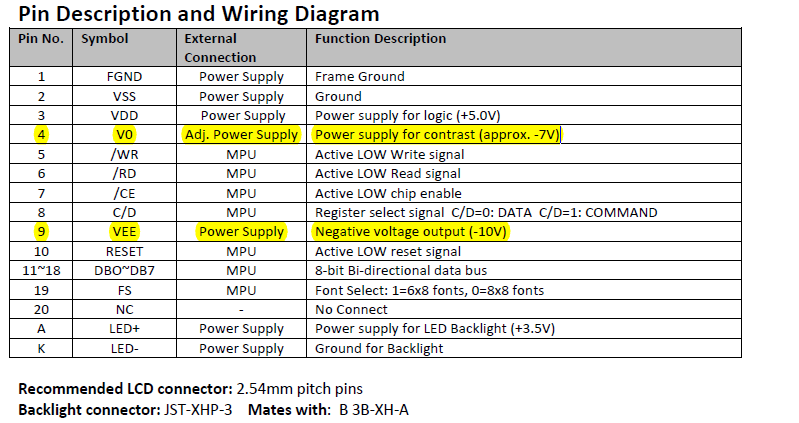 My question is do I need to supply VEE in addition to the VDD and the LED +/- or is VEE supplied by the LCD module itself? VEE is supplied by the LCD module. That pin outputs a voltage of -10V. This negative voltage is used in conjunction with a potentiometer (connected between VEE and Ground, with the adjustable pin connected to V0) in order to provide approximately -7V for contrast (adjustable). Thank you for the quick response you have clarified my question nicely.